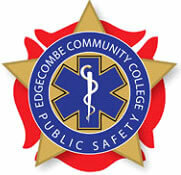 The EMS and Emergency Management program at ECC is designed to provide certification in a wide variety of emergency medical programs. It provides full time and volunteer EMS agencies with the opportunity to develop knowledge, basic skills, and advanced skills based on pre-hospital emergency situations. Programs are open to all EMS departments in North Carolina. A broad range of specialty classes, based on both department needs and new training standards, are offered during the year on the college campus or at various fire departments. Many of these classes are offered to interested citizens, however, Emergency Medical Service classes that require physical exertion and use specialized departmental equipment are offered to credentialed EMS personnel only. *N.C. Office of Emergency Medical Services, Credentialed, Skilled Assessment and Written Exam. This is a four-year renewable certification with optional monthly continuing education updates through departmental in-service training or refresher course near the end of the credentialed period.